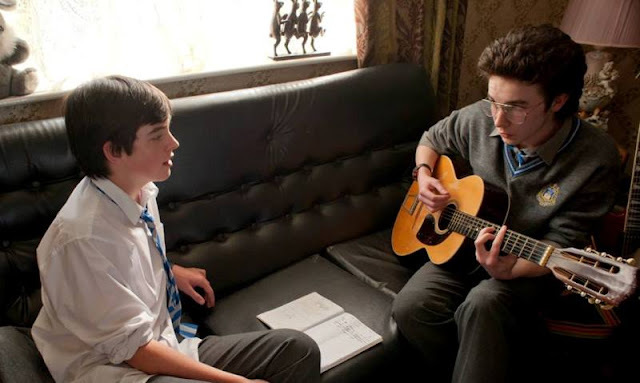 John Carney definitely has a knack for musicals and films that feature music prominently as part of the story. 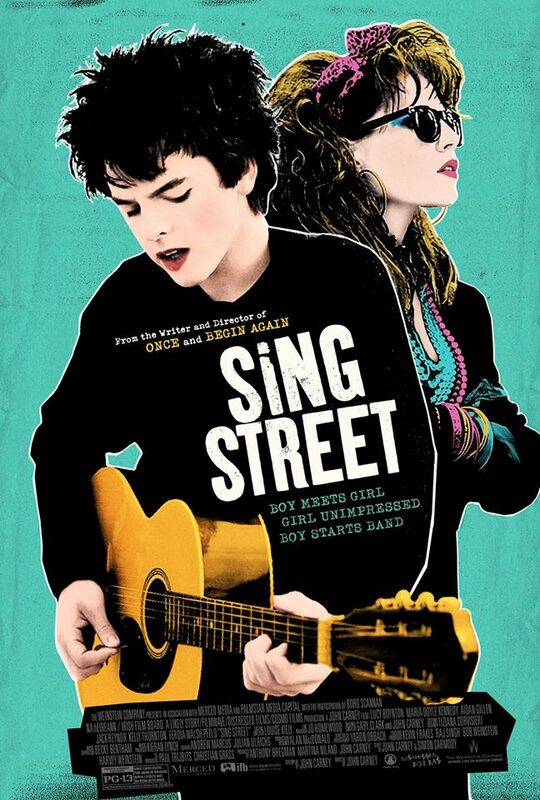 Once was a smash hit on Broadway, Begin Again had a lot of success on the film festival circuit, and now Sing Street is set to top the charts with a very likable cast of characters and a roster of songs you won't be able to get out of your head. 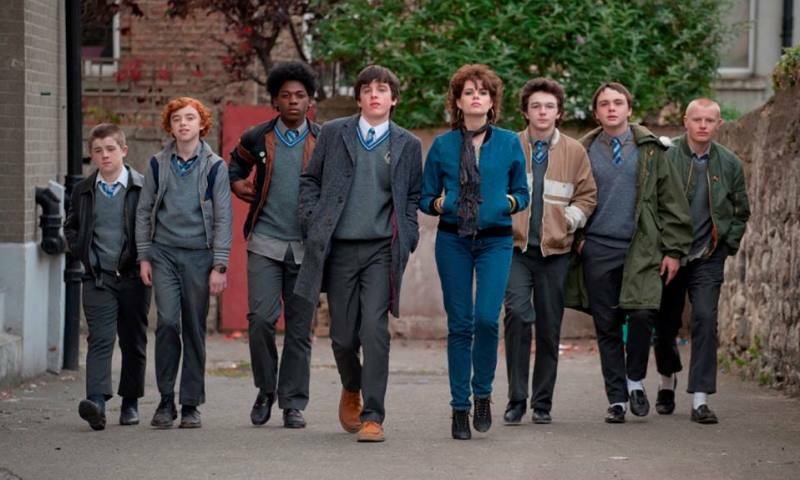 Visually, the film is very 80's and Carney takes you on a roller coaster ride of fashion from up and down that decade including all the punk, new wave, and Madonna inspired trends. The gaudy outfits and wacky hair and make up phases the kids go through are actually a very interesting and intentional contrast to the drab, dull, and depressing world around them. This is definitely story about making your dreams come true against impossible odds and Carney sends his hero on what seems like an impossible journey filled with every road block that could be put in front of him. Fortunately, this unlikely hero is played by Ferdia Walsh-Peelo, a young and very talented young man who totally sells you on the fact that some day he will be a rock star if by nothing else than sheer will and determination. Playing opposite him is the equally talented Lucy Boynton who totally fit the bill as a 1980's music video star in the making along the lines of Pat Benatar or Joan Jett and the two really have god chemistry together on screen. The unsung hero of the cast has to be Jack Reynor who is the older brother, the failed rock star, the slacker drop out, the voice of reason, and a mentor all wrapped into one very interesting package. Without this performance, the movie wouldn't have nearly the impact that it does when the story come to its ultimate conclusion. 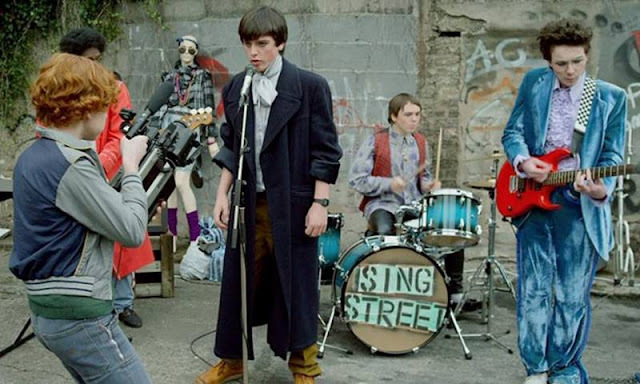 Sing Street is a fictional and fantastical ride through 1980's rock and roll as seen by a group of teenagers who use this powerful tool as a way to rebel against everything they know. Of course, this is also a story about learning how to fall in love and the dangers that most certainly follow but, under John Carney's musically adept direction, you're just happy to be singing along and enjoying the ride. If you are a fan of Duran Duran, Billy Idol, David Bowie, U2 and everything in between, you are sure to love this film.